Home Unlabelled Wow...Who Else Has Seen The Jesus Tree? 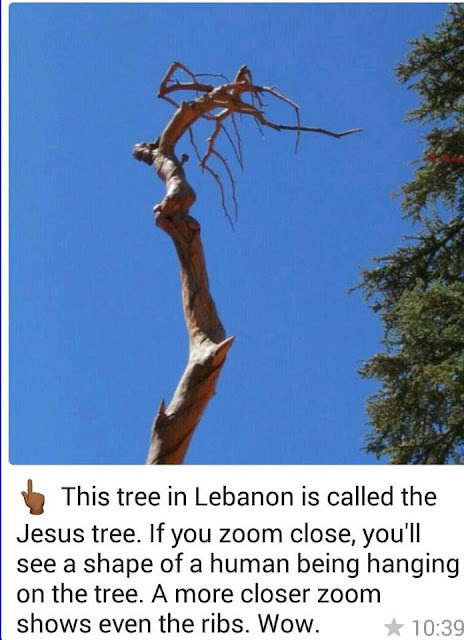 Wow...Who Else Has Seen The Jesus Tree? Checked and it looks pretty much like Jesus hanging on the cross!